I hate this time of year. For one thing, I’m always another year older (which really does beat the alternative). For another, like most everyone else on the planet, it’s a time to reflect on the things I did, or did not, accomplish in the previous 364 days. That could be due to the fact that my New Years resolution list was way too long. Or it could be because too many other things cropped up and pushed those things aside. And I suppose there’s just the tiniest possibility that I just kind of forget the things on the list in the first place. Okay, so maybe there’s a bigger possibility than that. But I think Shelly Immel nailed it this week in her post, How to Make New Years Resolutions You’ll Still Care About in 6 Months. I never take the time to think about what I really want to do over the course of the coming year. Nope. I just fill that list up with all the things I’d maybe like to accomplish and, by the time I’m finished, my eyes are wide and I have this sinking feeling in the pit of my stomach. Because I know I won’t be placing a check mark beside any of them. How can I when I’m overwhelmed by the enormity of the list before January first even arrives? But this year is going to be different. I feel like the past three years of my life have pretty much slipped by. The first couple of years following my car accident were spent in a haze of pain and sleepless nights. Then when things started to get better, my daughter died…which pretty much ruined 2011 for me. Now that I’ve been reminded again how short and unpredictable life truly is, I know I need a plan. I know I need to really take the time to look at my life. Where I’ve been, where I’m at, and where I want to be. So in the next few days I’m going to think about these things. And then I’m going to limit that list to a small handful of goals. The ones I consider to be the most important ones. One or two each from the personal happiness, career and family categories. And no more. Only things I truly care about, and things I have a hope of achieving. Know what? I’m tired of setting myself up for failure by the time January second rolls around. What about you? Do you make New Years resolutions? Have you seen any of them come to pass? Or are you like me and sit there shaking your head at the end of each year because you wasted time and energy saying you were going to do all of these great and wonderful things…and didn’t? No matter where you’re at with the whole resolutions thing, I just want to take a second here to wish you all a very safe and Happy New Year! May 2012 be all you hope for. This entry was posted in Romance and tagged A Fine Mess, Another Auld Lang Syne, Dan Fogelberg, Happy New Year, Kristy K. James, New Years resolutions, Reluctant Guardian, Straight No Chaser, The Daddy Pact, The Stranger In My Head. Bookmark the permalink. No, I’d just decided to give something else a try. A lot of people don’t like the whole exclusive thing but I’m always willing to give things a shot. And since I can change my mind I figured I didn’t have anything to lose. I think I first read Alas, Babylon when I was in my late teens. It was an old book at the time and I guess I read it too much because it finally fell apart about ten years ago. Fortunately it’s still available (probably POD) and I bought a new copy (and one for my mom for Christmas this year…well, 2011). The only one I remember from junior high is Of Mice and Men…probably because I hated the ending. Deadlines… They’re a pain in the neck when they’re self-imposed, aren’t they? I have two books I want to finish by spring, one in particular that I’ve been working on for years (finally figured out I didn’t WANT to finish it, lol). I feel like a traitor, but I pulled The Daddy Pact from Smashwords and am just selling it on Amazon. If you want a copy, I can email you a Word document. I’d say PDF but I’m not sure I can do that without buying the Adobe program. Did Amazon force or incent you to a single-source deal? Or did their pricing policy decide you to single-source? I’ll see if I can buy the ebook on Amazon so you get credit for a sale. If you’ll email me the Word document, I’ll print it and read it the old-fashioned paper way. 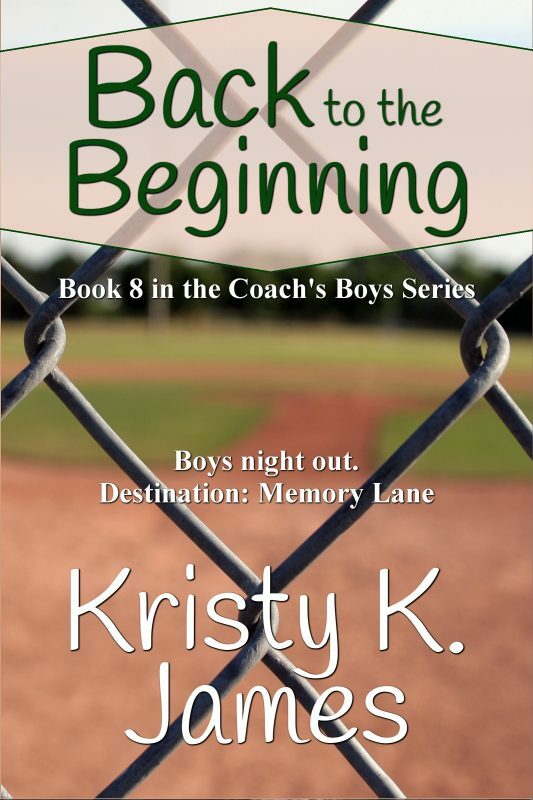 Kristy, I am working on the 2nd (and 3rd) books in a series, while I revise the 1st. My plan is to hold the 1st until the others are almost ready to go so I can publish them 4 – 6 months apart. Ah, the wonders of self-publishing! You should do a post on your comfort shelves. Would be fun to see what you have and hear how other people self-medicate through story and song! You need to let me know when yours are ready. I’d love to read them! And your character sounds very smart! Yes, administer music mindfully!!! LOL about my comfort shelves. Not sure I want people to know how strange I really am. One of them is a really old book I came across as a teenager, called Alas Babylon. It’s about nuclear war and a group of survivors in Florida who not only survive, but thrive. It’s a little scary (the thought of a war like that), a little depressing (most of the United States was wiped out), but very inspiring (how resilient people can be). I remember Alas Babylon! I read it in jr. high, along with The Rats of Nimh, Watership Down, Bridge to Terabithia, and others. I read lots of fantasy and sci-fi. I pulled down my old Anne McCaffrey books and started re-reading them just a few days before she died. I like re-reading fiction I loved at some point in my life, just to see how it feels to me now. But it’s a wonderful, inspiring movie about making your dreams come true. About setting your sites on the prize and doing everything in your power to reach it. You’re giving me happy chills, Kristy. I love it. I aim for that in my writing, too. I write the stories I need to hear: coming of age stories about adults, not teenagers. Everyone I know our age is still working to define and build their Big Life, to be the person they want to be in the world. And none of us (in my books or in real life) finds that easy. I hope when people read my work, they’ll feel that kindred spirit of challenges faced and eventually overcome, that they’ll feel inspired for their own challenges. Do you have a “comfort shelf” with your favorite stories? Will you add Zoo to it? I agree with the ‘self-medication’ statement 100%, Shelly! What we choose to read, watch or listen to does help determine how we feel and approach life. There was a time, when I was feeling down, that I would play every sad song I could lay my hands on…because it helped keep me there. Fortunately I realized what I was doing…and stopped the practice! Now I turn to uplifting choices…and yes, I have a comfort shelf. One for favorite books that make me feel good (and one for Christmas books, lol). Zoo will definitely be sitting on my private stock of feel good movies about four feet from my desk. Kristy, you are the best about giving shouts out to people. Thanks for letting people know about my blog post. I love that you are looking at 2012 as a year of awakening, of thinking about what you really want and how what you do each day takes you closer or farther from that life–and your determination not to set yourself up for failure by piling on too many goals. You are in such an exciting time! I can’t wait to hear more as this year unfolds!